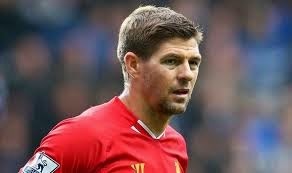 Liverpool captain Steven Gerrard on Friday ended his long term relationship with the five-time European champions. The former England star described his decision to leave the club at the end of the season “the toughest” of his life. The 34-year-old, out of contract this summer, joined the Reds aged nine and has scored 180 goals in 695 games, the BBC reports. “This has been the toughest decision of my life, one both me and my family have agonised over for a good deal of time,” the BBC quoted Gerrard as saying on Friday. He added he would continue to play but not for a potential rival as he could “never contemplate” facing Liverpool. He stressed: “I won’t be playing for a competing club and will not therefore be lining up against Liverpool. “My decision is completely based on my wish to experience something different in my career and life and I also want to make sure that I have no regrets when my playing career is eventually over. Gerrard, born in the Merseyside village of Whiston, joined Liverpool’s academy when he was nine years old, making his first-team debut as a substitute against Blackburn Rovers in November 1998. He led the club to the Champions League title in 2005, scoring his side’s first goal as the Anfield giants came from three down to draw 3-3 against AC Milan and then win on penalties.